I am particularly worried about plunging oil prices because I believe that it is going to pop the shale energy bubble that I have been warning about for years. I am also growing increasingly concerned that the U.S. shale energy boom is actually another post-2009 economic bubble (it would be a part of the commodities bubble). In a zero-percent interest rate environment like we are currently experiencing, any economic boom can devolve into a bubble. Shale energy extraction is a very capital-intensive business that relies heavily on cheap credit to survive. Shale oil wells experience much faster decline rates than conventional oil wells, which means that energy companies must keep drilling at a furious pace just to maintain their production – a very costly proposition that is typically funded by copious amounts of debt. U.S. shale energy boom/energy junk bonds: This boom/bubble is closely related to the corporate debt bubble discussed above. Extracting oil and gas from shale via fracking is extremely capital-intensive and would not be feasible in a normal interest rate environment. Thanks to the artificially low interest rate environment since the Great Recession, the shale energy industry’s net debt surged to $200 billion in 2015 – a 300% increase from 2005. Rising interest rates and the bursting of the corporate debt/junk bond bubble will cause a major bust in the shale energy industry. The oil price plunge and overall rising interest rate environment is causing high yield or “junk” bonds to sink. 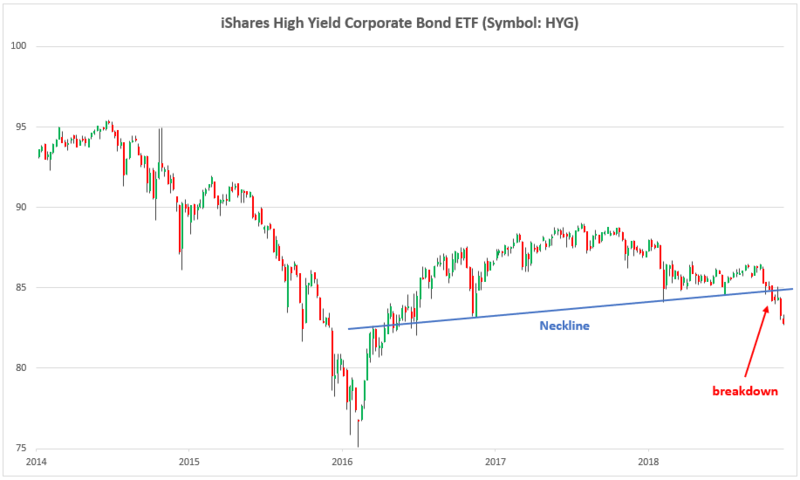 The chart below shows that the HYG high yield corporate bond ETF recently broke below a key technical level known as a neckline, which is a signal that further bearish action is likely ahead (which means that junk bond yields will rise). I believe that this is yet another sign that the shale energy bubble is at risk of popping. Fund manager Jeff Gundlach said that he expected that the Fed would raise rates “until something breaks.” There is a good chance that one of the first things that broke and continues to break is crude oil prices and the shale energy bubble. This has very serious implications because it is one of the most important drivers of economic activity and job creation in the U.S. since the Great Recession. 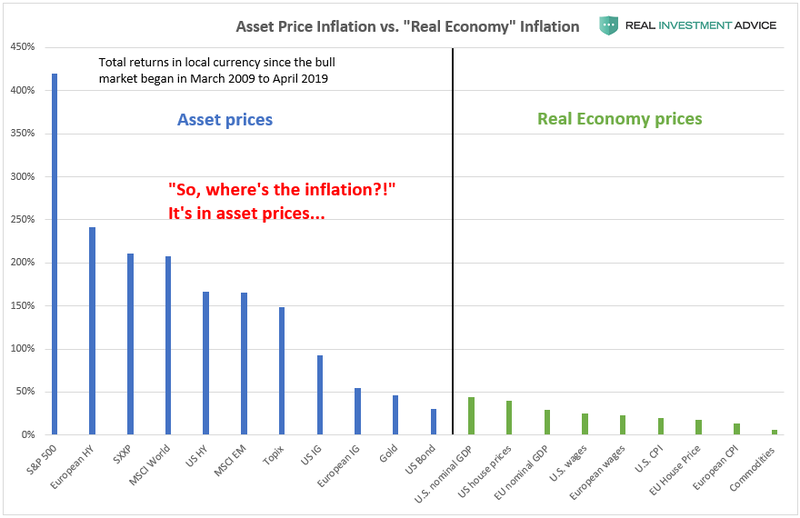 Society is going to be taught the lesson that cheap credit and flooding the economy and financial system with liquidity leads to bubbles rather than sustainable economic booms.